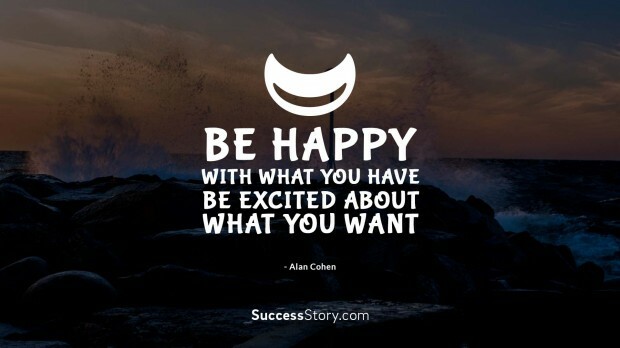 Alan Cohen quotes are supposedly the most inspirational quotations to see the bright side of one’s life. His quotes on Love are to fall in love with, and he reiterates that happiness is the source that one should look. His quotes would make one feel good about themselves regardless of the tags that one’s society gives each, Alen Cohen is also famous for his positive energy infused self-help books that has changed many lives drastically. "Be happy with what you have Be excited about what you want "
"Happy people do not demand a lot from the world because their happiness proceeds from a place deeper than the world can touch"
Alan Cohen has written 2 books that are all inspirational and a few are bestsellers till date, he has also contributed to the Chicken Soup for the Soul series which is a #1 best-seller. He also writes columns in international magazines and his radio program broadcasts on Hay House Radio. His quotes help in healing one’s pain and adds positive energy to one’s veins instantly. Alan Cohen’s quotes on change are read all over the world. 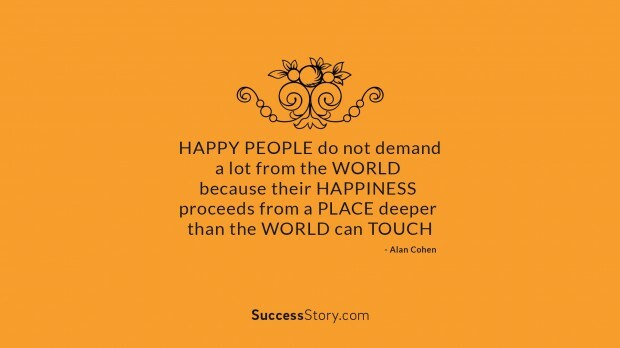 Alan Cohen is known as a self-help guru whose quotes emphasizes on enjoying life and to live life to the fullest. He recommends to stop wasting energy on the opinions and judgements, to raise one’s level and be the one who spreads love. He is a great example of how well one should lead their life with positivity and creativity to strive. Reading Alan Cohen quotes gives a new energy and helps to begin every day with great enthusiasm. Read his quotes to broaden your mind and overcome your limitations picking the right path for you.